Cinnamon, nutmeg, cloves with the finest sugar. Delicious when making apple-based desserts, also great with peach cobbler, apricot crumble, and many others. 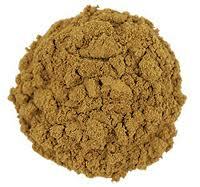 Our Apple Pie Spice is superior to store bought brands. It is hand blended with Saigon cinnamon, allspice, nutmeg, ginger root and cardamom. Yum! 2 ounce net weight in a reclosable pack. Click here for our New Hudson Apple Blossom recipe! Click here for our Orange Breakfast Muffins recipe!